Hello, Readers! 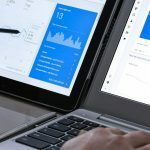 This month, we have the usual mix of minimalist sites, traditional-feeling sites, more than a few asymmetrical sites, and a couple of wildly experimental sites that look really cool, but are practically unusable. I mean, things get wild in here: Hell freezes over; oil and water mix; I say something nice about a parallax effect—it’s mayhem, I tell you. Mayhem! 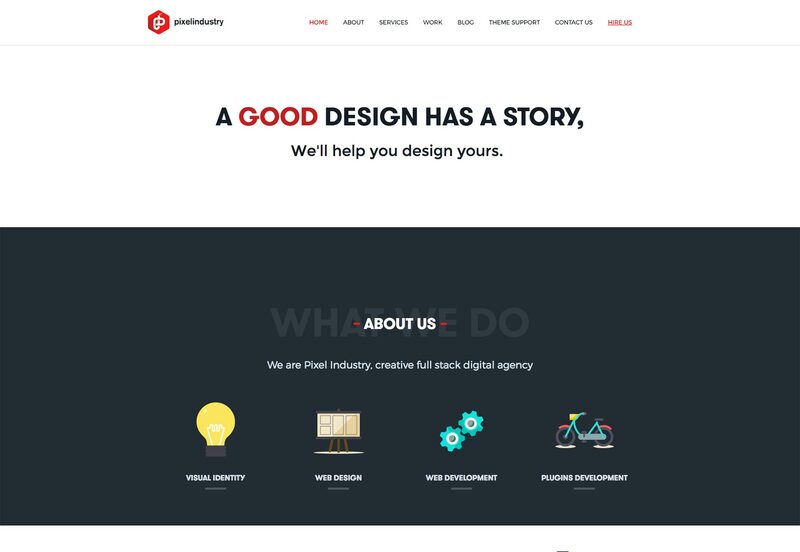 If pixelindustry’s agency portfolio looks a whole lot like a theme, that’s because they make themes. So while it may not be the world’s most original design, it certainly plays to their strengths, and showcases their talents. This may be the only case where a site “feeling like a theme” is a positive thing. 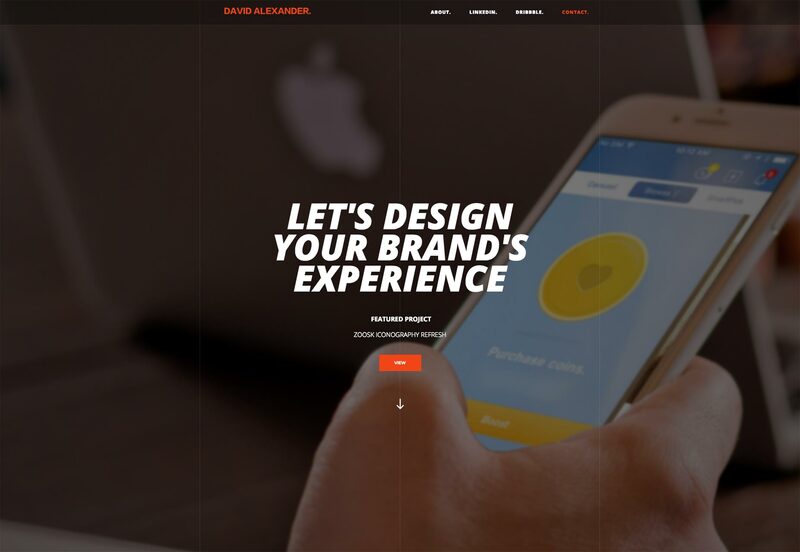 David Alexander’s portfolio throws you right into the work with a large, image-focused, fully-screen-friendly layout. 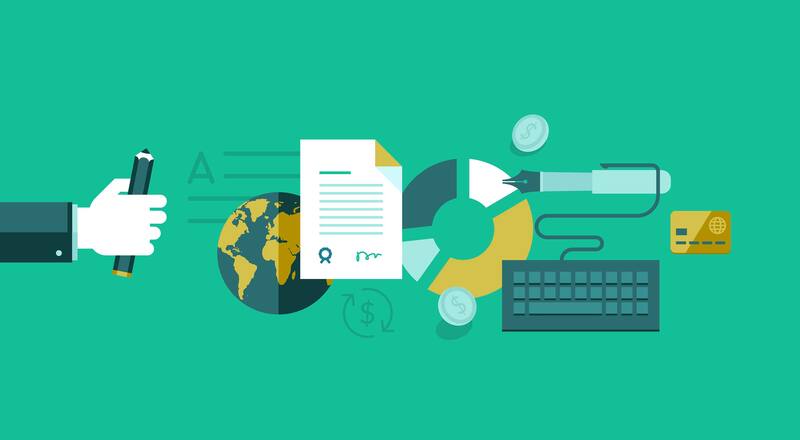 If your content is light on text, and heavy on imagery, this is one great way to do it. The portfolio site for Martine aimait les films, a video production company, embraces that divided-in-half feel that I love. 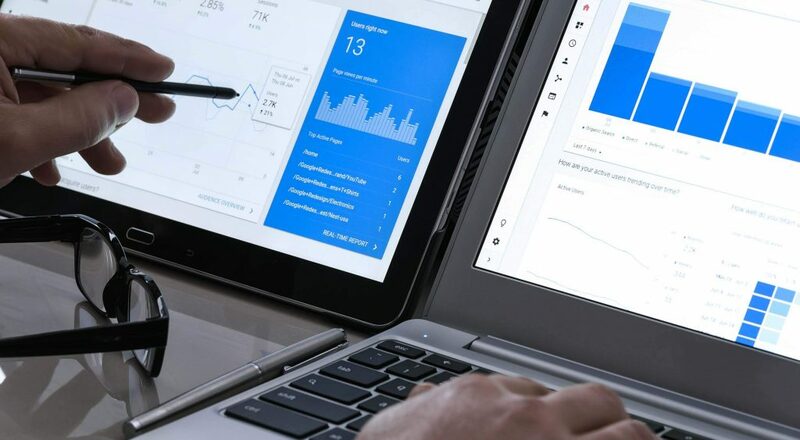 Combined with the short, high-quality clips used as video backgrounds, the whole site feels modern and professional, and seems to fit the style of the videos presented. 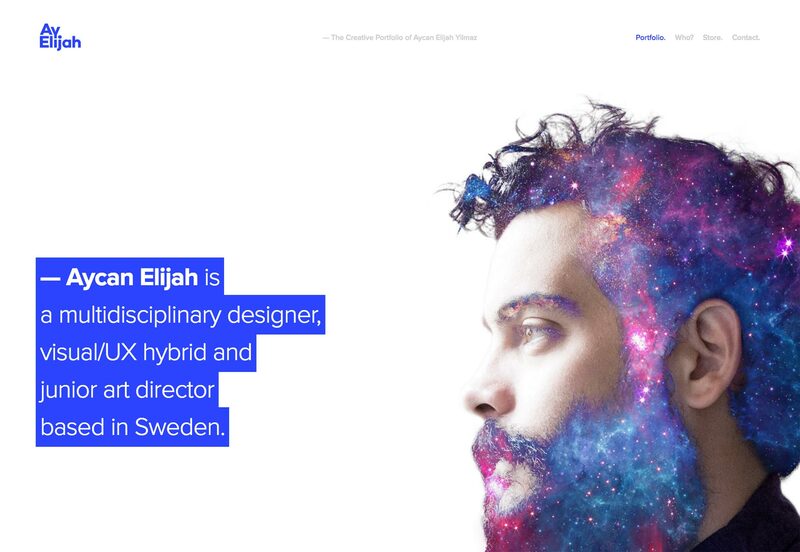 Aycan Elijah Yilmaz’s portfolio is the second one I’ve seen embrace the “galaxy beard”. 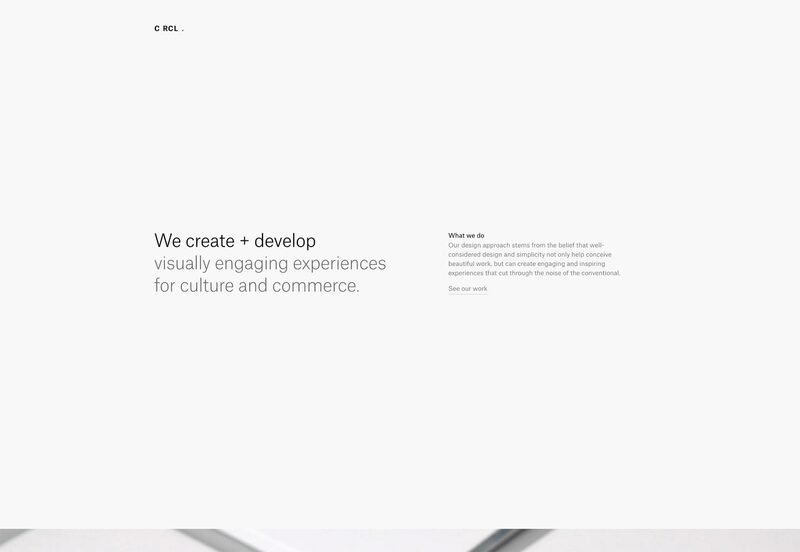 Galaxybeards aside, this is a pretty, minimalist site with a lot going for it. 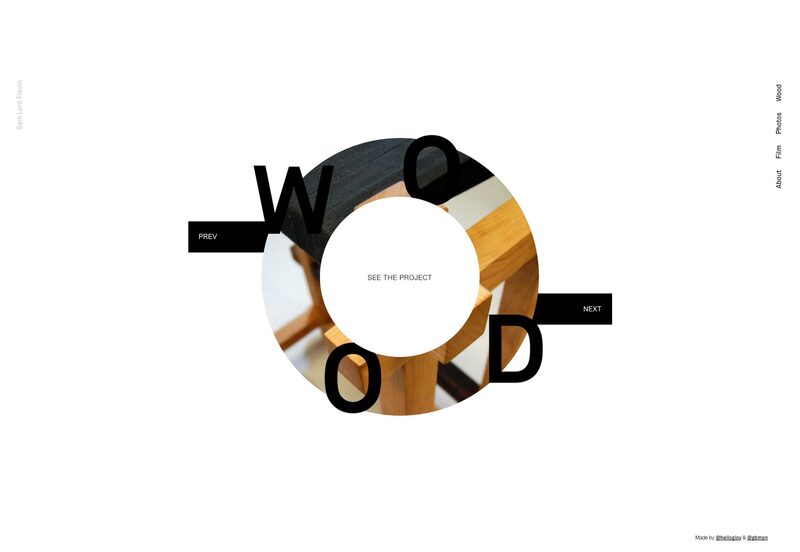 Chris Cook’s portfolio is simple, largely monochrome, with decent typography. The thing I really like about it, however, is the use of a subtle background pattern. I know that background patterns were basically abandoned along with skeuomorphism, but this is a site that does it right. I’d like to see more subtle patterns used here, and there. We might even wean ourselves off of our near-complete dependence on huge (and thus slow-to-load) photos. 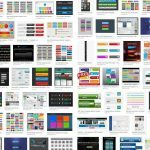 The site for video production studio whitelist goes full 90s multimedia presentation, but with modern technologies and style. I’ve often railed against the usability problems this kind of design presents, but that doesn’t mean it isn’t pretty. 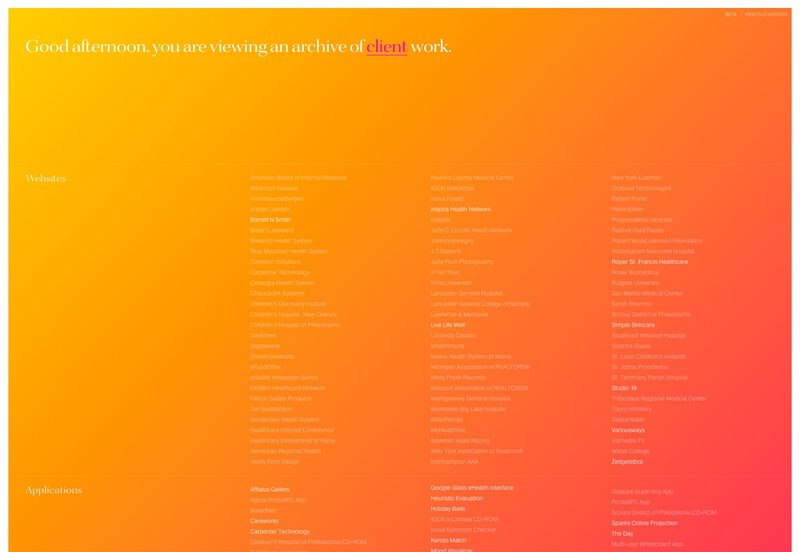 You could drop most of the fancy JS and animation, and what you’d have left is a beautiful, minimalist site. 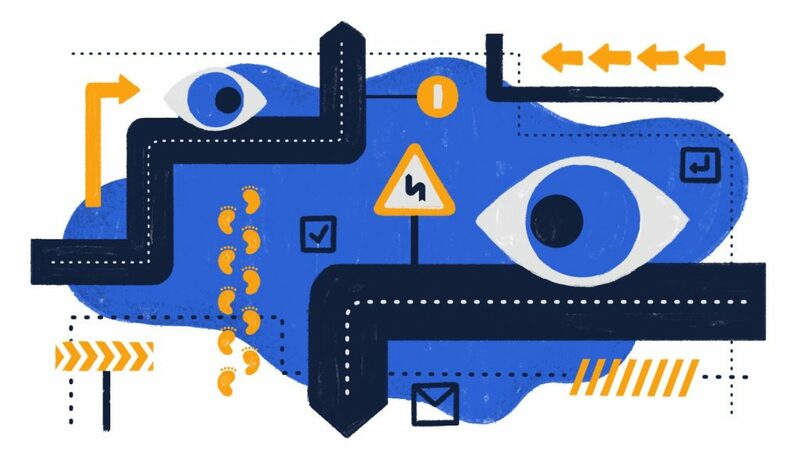 I especially like how it makes use of less-common geometric shapes both to decorate, and to draw the eye to UI elements and important content. 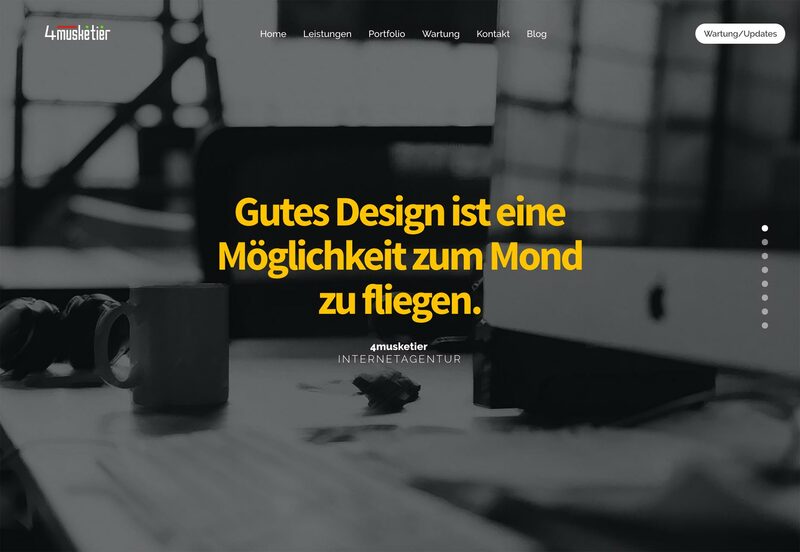 I’m forced to assume that 4musketier is a design agency, because though I can’t read German, that’s what’s in the portfolio section. It’s not too imaginative. It’s really a textbook flat design that seems dedicated to a pastel version of the rainbow itself, rather than a specific color scheme. Still, it looks good, with excellent typography, generous white space, and more. 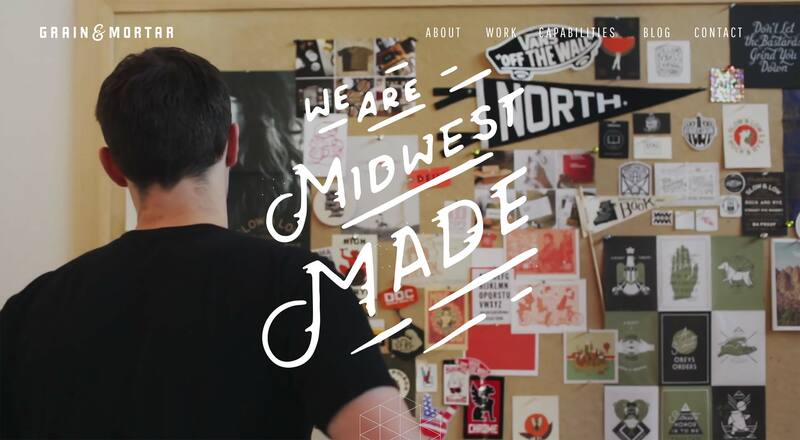 The whole design feels like it was executed with precision, and that alone is worth a look. Lachlan Kincaid’s portfolio brings us back into the world of minimalism, with a more literal definition of “white space”. 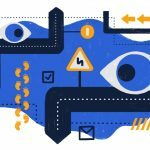 It’s a simple site that shares the emphasis between the text and imagery, in an effort to give proper context for all of the work presented. It’s an effort that I appreciate. Electric Enjin’s portfolio site starts off with a bang, by presenting a polygonal 3D globe that zooms in and… well I’m not going to spoil it. 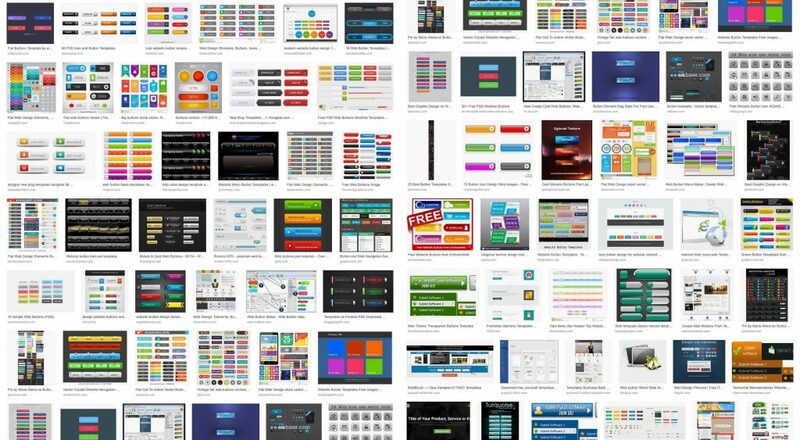 Suffice it to say that, potential usability problems aside, this is what all those Flash site designers were going for, but couldn’t quite manage. It’s quite something to see. The rest of the site is decidedly simpler, and not too spectacular, though certainly pleasing to the eye. 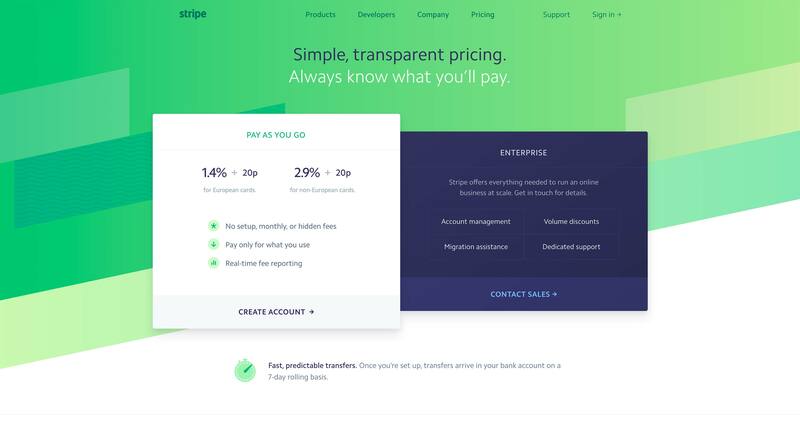 But that home page… that will definitely give customers something to think about (if it works in their browser). 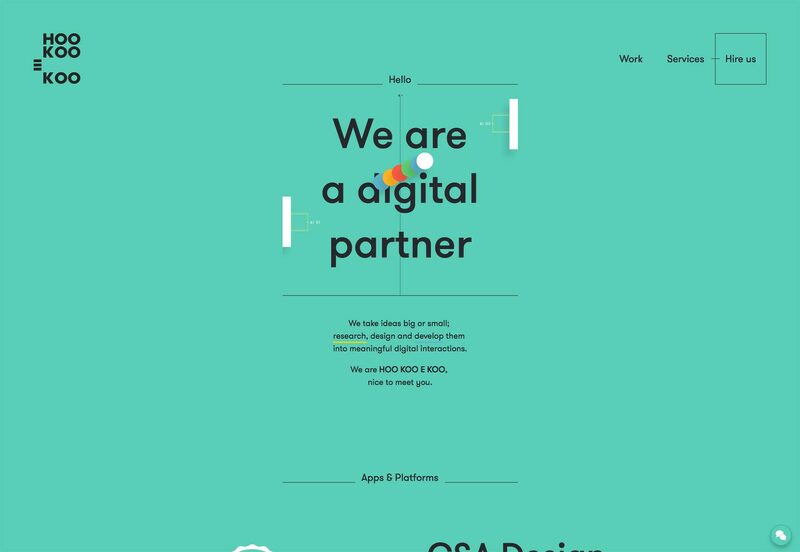 The studio portfolio site for Olle combines minimalism with a streak of Bauhaus style. The pages weren’t just designed, they were art directed. Designers take note: art isn’t just about fancy layouts. 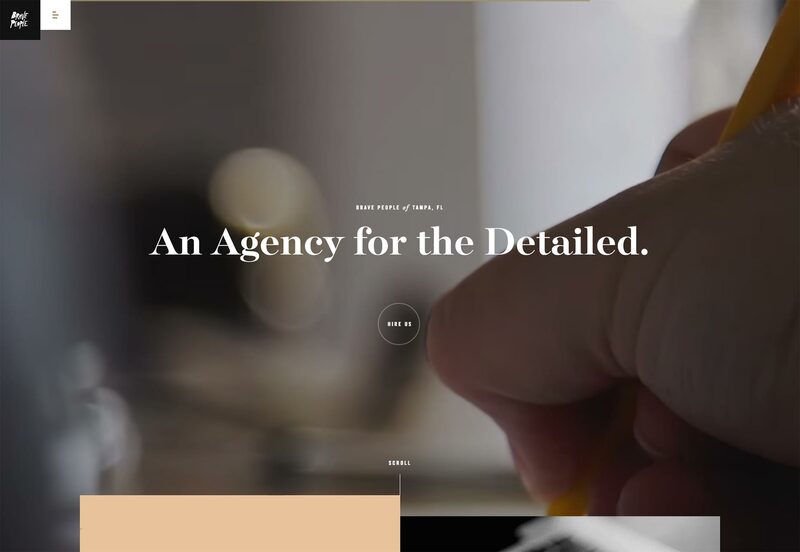 Simply changing small details on the page, or the entire color scheme, to match the content… that counts too. 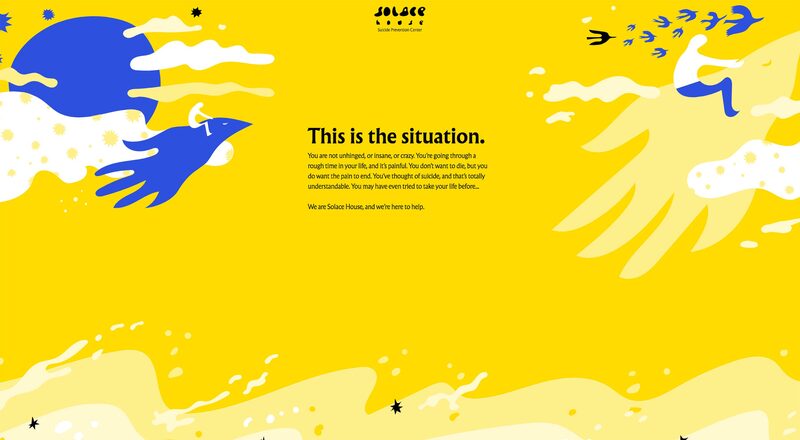 Locomotive’s portfolio site is a fantastic example of a site based on Material Design that doesn’t look all-Google, all the time. Yes, certain elements retain that very specific Material Design feel, but the site very much has its own personality. Combine a modern aesthetic, a strictly black and white color scheme, a bit of asymmetry, and you get AREA17. Now, I love my greyscale sites, as you know, but it’s not often someone can actually pull off a design with near-solid black (it will look solid black on most screens, anyway), and a lot of it. 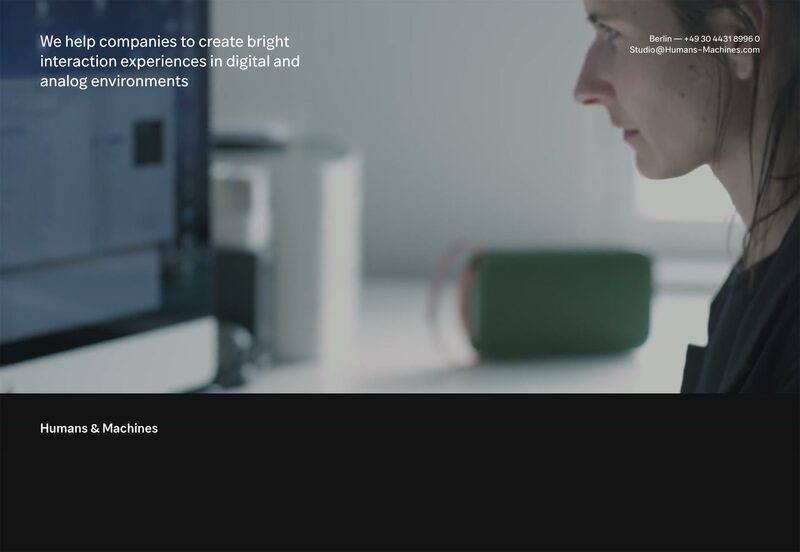 C RCL’s portfolio site makes a risky choice with using a full-screen carousel in the middle of their one-page site. Well, the risk comes from the fact that it’s the only way to see their work. Still, it fits in with the aesthetic. Great typography too. 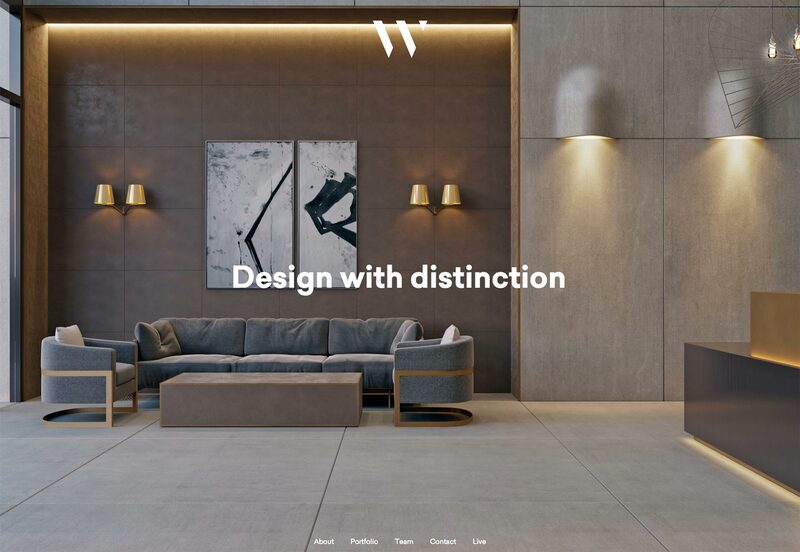 Whitehall is an interior design studio in New York City. 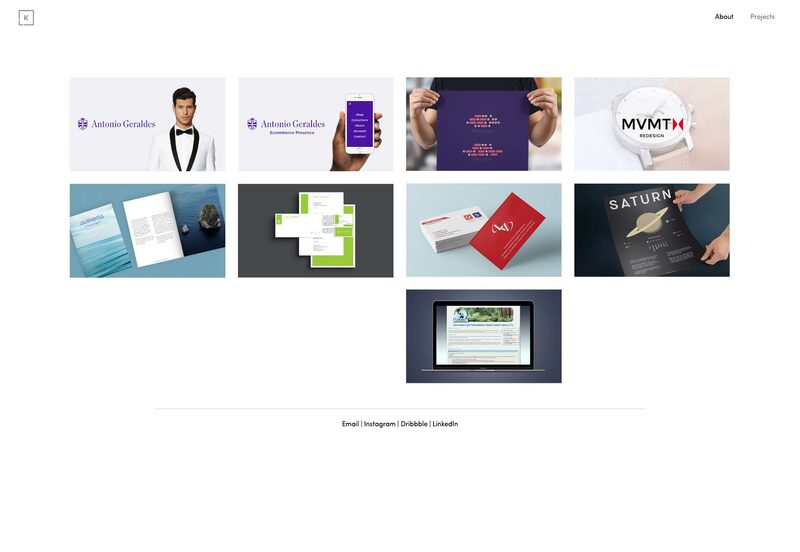 They leave all the sales work to the excellent photos of their projects, which are presented full screen. The rest of the site is kept simple, giving you just enough information, and no more. The asymmetry on the “About” page surprised me, but it still seems to work, even if it’s nowhere else on the site. 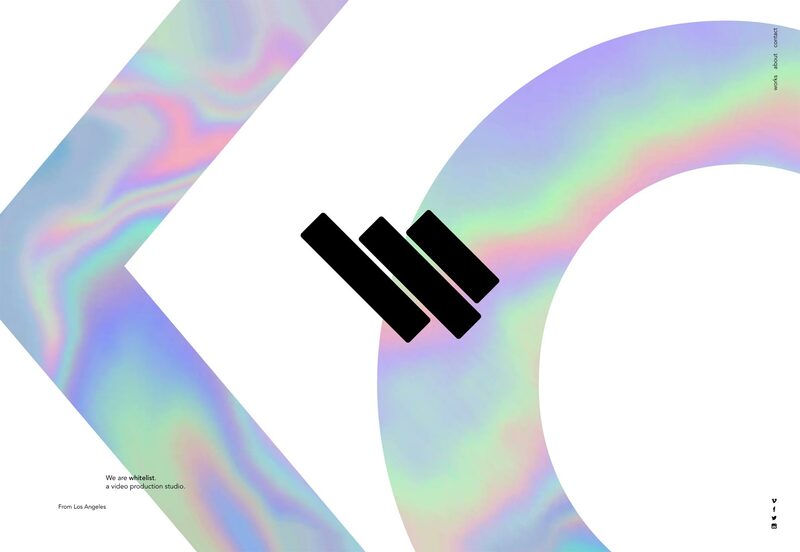 Uzik’s agency portfolio site is another one of those that’s not too original, but too well-executed to ignore. It just has fantastic use of imagery, type, color, and everything else. There’s something to be said for following the formula once in a while, and it’s working for Uzik. It’s a pretty site. Go look. 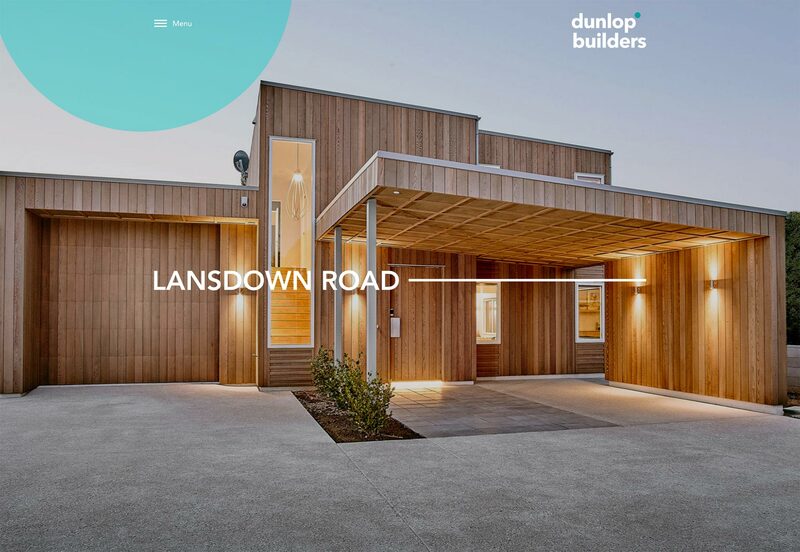 The portfolio for Dunlop Builders is another great example of a minimalist business site. It looks very familiar, in terms of structure and the elements used, yet still retains its own distinct personality. Some of that personality comes from the imagery, but a lot comes from the use of layout and type. 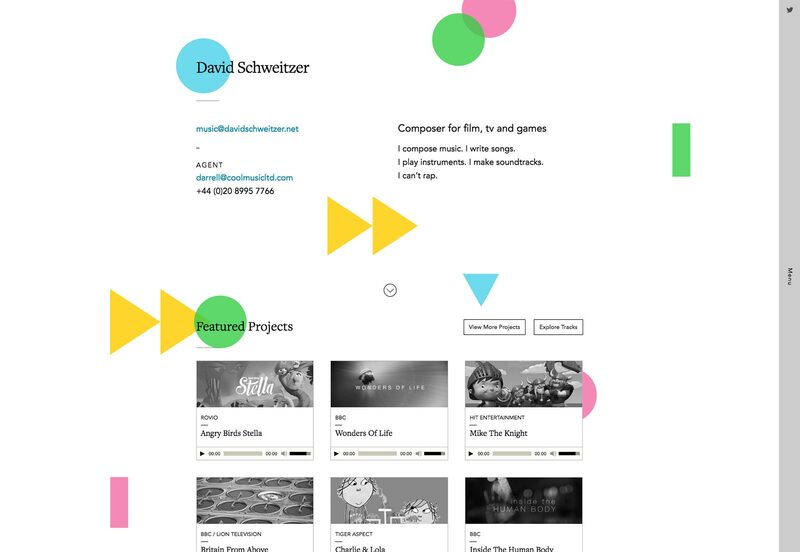 Composer David Schweitzer’s portfolio isn’t a one-page website, but it might as well be. All of the most important information is on the home page. 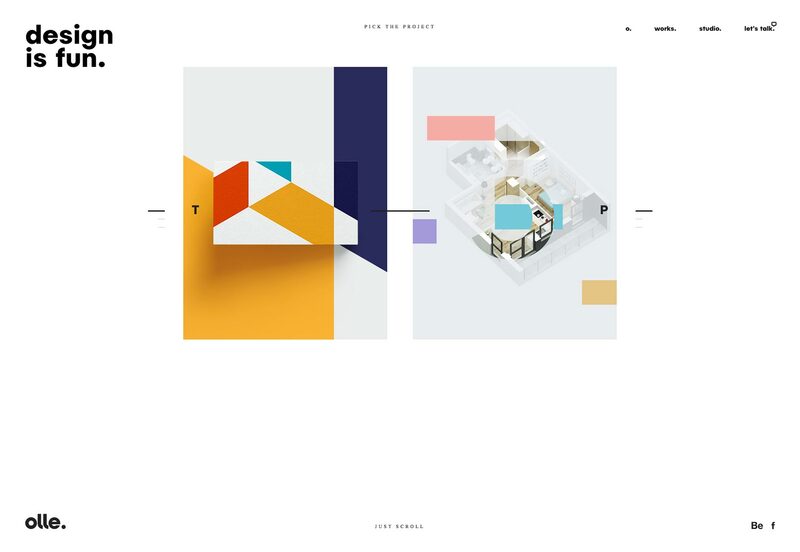 Almost random colored geometric shapes are used to spice up an otherwise monochrome website to great effect, although they make the text a bit less legible where they overlap with it. What I love, though, is that you can click on any of his musical projects for a full case study, or just listen to a sample right there, with the provided mini media player. The whole site is efficient like that, while also providing more details for anyone who wants them. 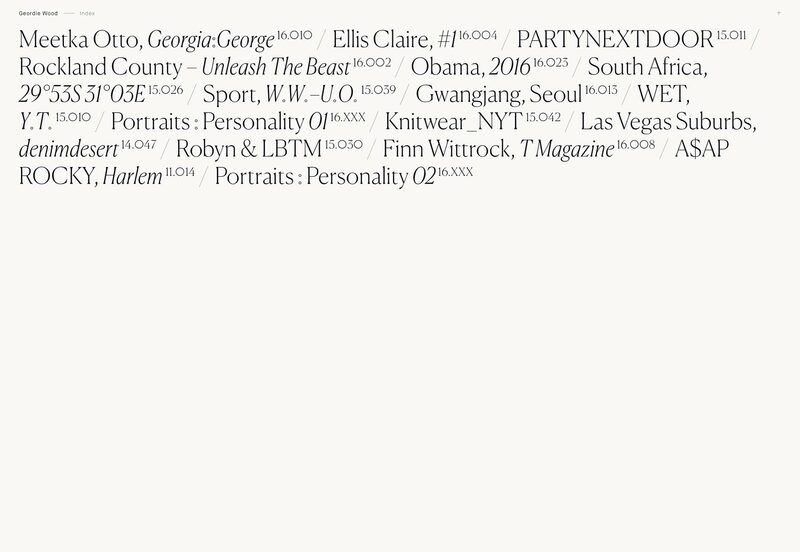 Ok, Geordie Wood’s portfolio is, to be perfectly honest, an unusable mess. Take a glance and tell me where the main navigation is. No, it’s not the arrow in the upper right. It’s revealed on hovering over the photographer’s name. That mess aside, I love the use of typography, and the way the text stays on top of the hover-images until you click through. I love the way each photo is given a different ratio of white space. It’s feels experimental, a little unpredictable, like the photography it’s showing off. 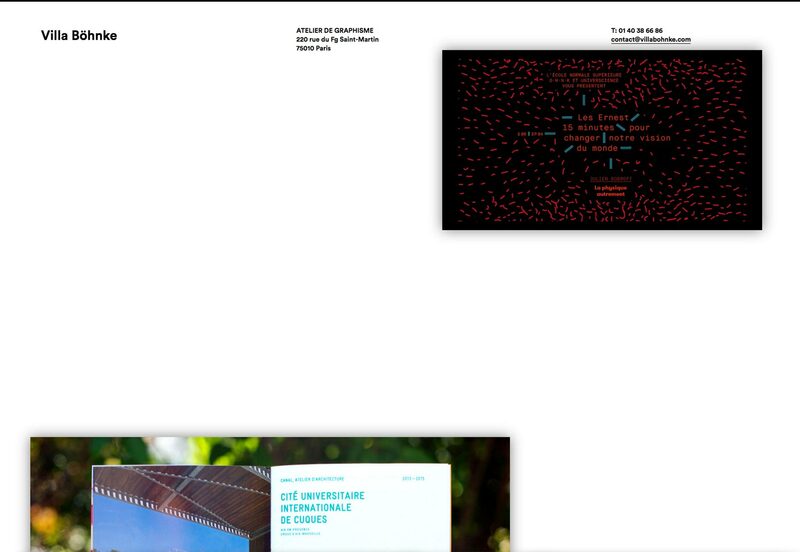 And we keep getting experimental with Sam Lord Flavin’s portfolio. And it kind of has to get experimental. 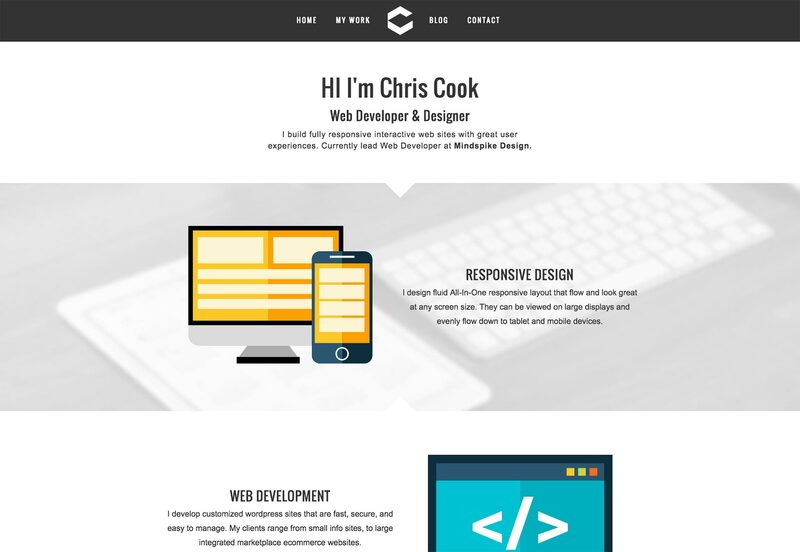 After all, he’s using this site to showcase three major, and majorly different, skillsets. Villa Böhnke’s one-page poortfolio feels, at first, like more of a collage than anything else. I’d say it works for them, even with, gasp, drop shadows. Okay, it really is mayhem out here. But for the content, this is perfectly appropriate. 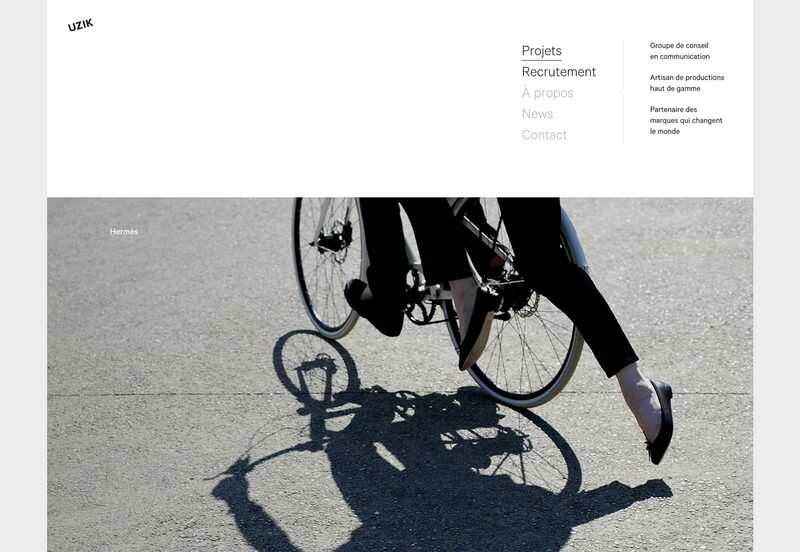 Jon Monttenegro’s portfolio gives us another decidedly minimalist one-page portfolio. This one is targeted at… people impressed by really long lists? I mean ok, I’m actually impressed. That’s a lot of work done. So, if anyone wants social proof, that’s one way to show off. I just wish he hadn’t used those clicking sounds when you hover over a link. HOO KOO E KOO has a name I don’t even want to try to say out loud because I just know I’ll get it wrong. It also gets off to a great start with what might be the most modern-feeling animated depiction of Pong that I’ve ever seen. Scrolling down gives us a change in background color that never feels awkward, so that’s cool too. 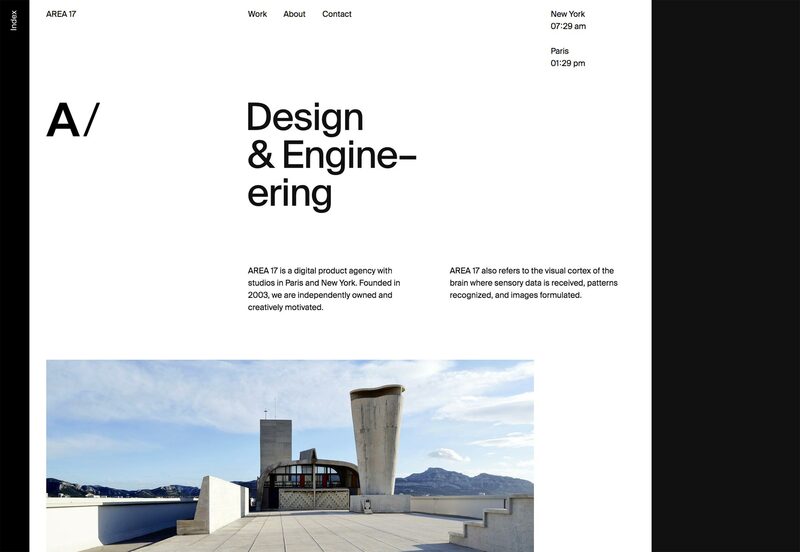 The portfolio for Humans & Machines brings us more asymmetry, more minimalism, more goodness. Pilote’s portfolio presents their portfolio in just two photos. 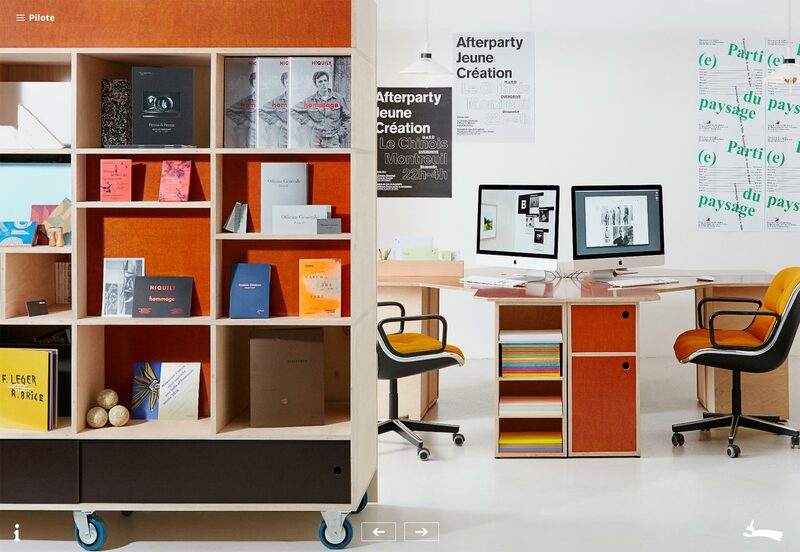 They showcase their print and graphic design by zooming in on each product as you click through the menus. It’s a bit “Flash-y”, but still fairly unique, and an interesting way to do it. 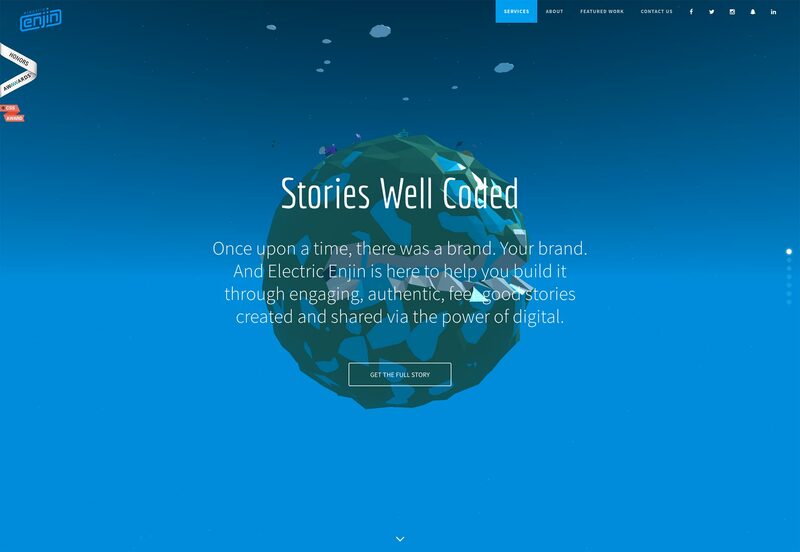 Brave People’s portfolio site is another that’s not too original, but still beautiful. Have a look at that typography, especially. It’s pretty.